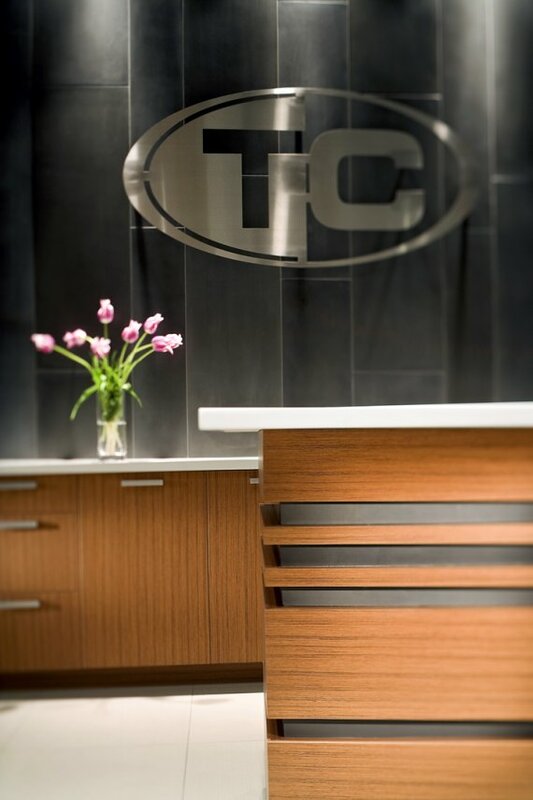 Khai Foo from Solus Decor sent us some photos of work they recently completed for the offices of Trasolini Chetner. 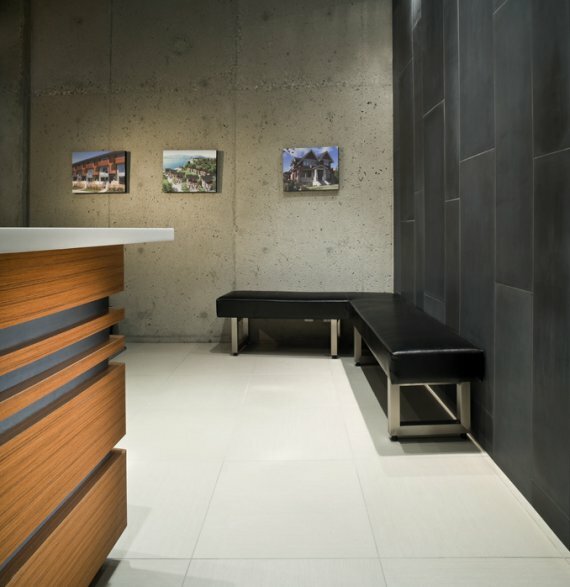 Solus is a company in Vancouver, Canada that designs and manufactures a variety of cast concrete products, and Trasolini Chetner is a property developer (also in Vancouver) who recently opened an office on the ground floor of one of their latest developments. 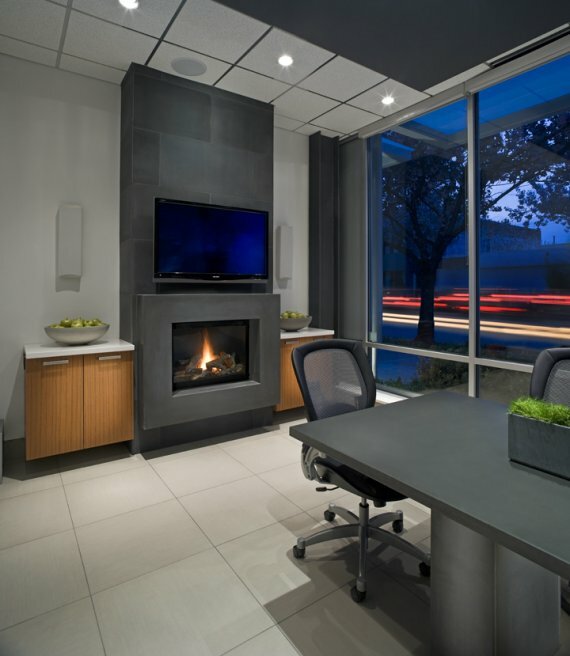 The office interiors were designed by Cristina Oberti who used the Plana large-format plank wall tiles on the walls of the reception area, a Quadra fireplace surround with wall cladding, and a custom board room table, all from Solus Decor. 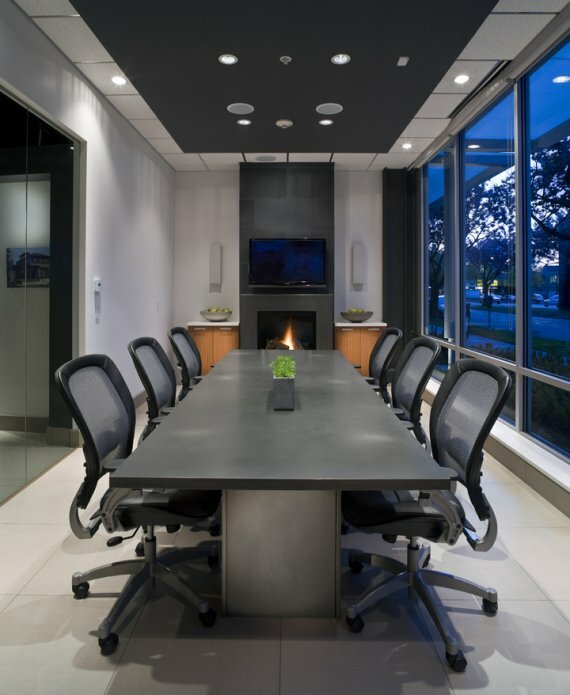 Visit the Solus Decor website ? here.